Gold is still trading sideways ahead of next week's FOMC meeting. The wide range is still the same between $1211 and $1182 for Gold as the prices are currently making their way to the upper range as the US Dollar started to loose a bit of momentum. The broader outlook is still uncertain, however, the trade war developments will provide us with a better view in the near future. 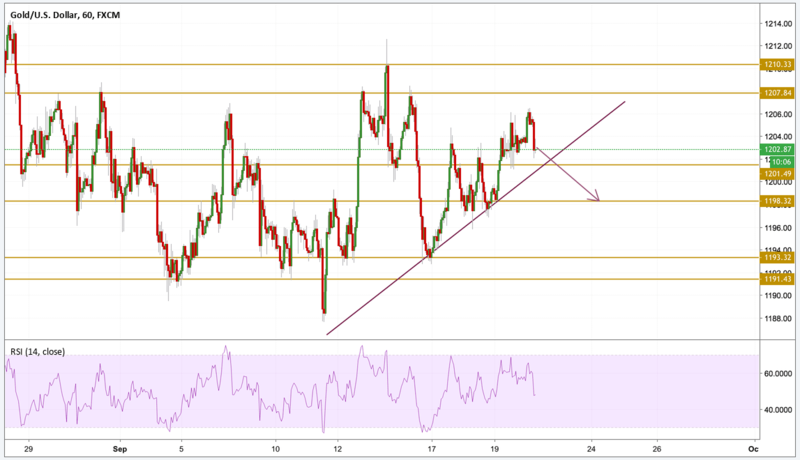 Even though Gold prices are moving higher every time with an uptrend pattern, the divergence between the price and momentum is ready to send Gold back below the $1200 with a focus on the $1198.4 support level .